Our experienced staff can offer DIYers valuable advice and assistance in selecting the most suitable landscaping materials for their yards and estimating the quantities needed. From rock and stone, to pavers and retaining walls, to dirt, sand and mulch, you’ll find the landscaping materials you need at Patio Town. Get inspired—browse our acres of outdoor displays. We have hundreds of ideas for your yard! 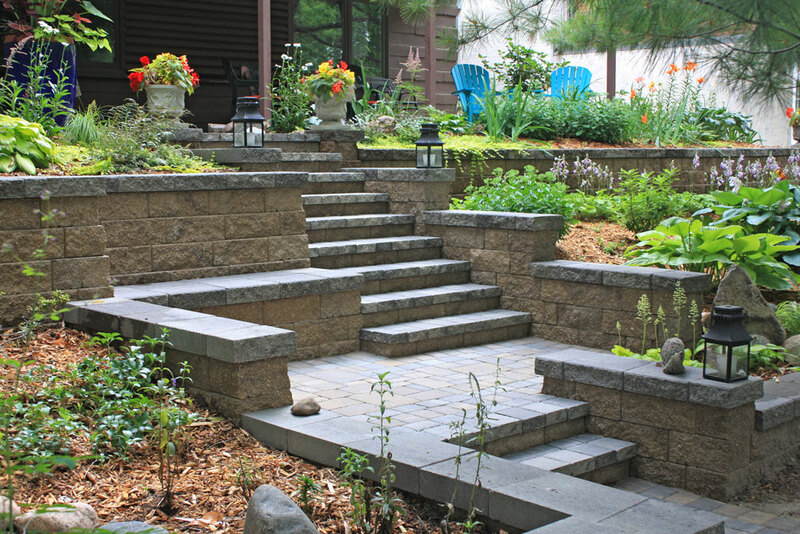 Patio Town University and VERSA-Tech feature online training courses for retaining wall and paving stone installation. And Patio Town offers free seminars on retaining wall and paver patio installation at all three locations throughout the landscaping season. We can provide on-site help to determine layouts and estimate material quantities for large do-it-yourself landscaping projects. Call us at 651-770-1391 to discuss your project. Ask for Dave. Our award-winning team of professional landscape designers and installers at Villa Landscapes, the design/build group of Patio Town, offers full landscape services for both residential and commercial clients. Whether you’re looking for a modest front-entry makeover or a complete outdoor kitchen and entertainment area, Villa Landscapes can take your project from concept to completion. Schedule an appointment with Villa Landscapes at 651-773-7440, or visit www.villalandscapes.com.